DIY Modern Christmas Gift Wrap featuring GAP + Darby Smart! Hey folks! Did you know Darby Smart (the company who sells my DIY desk calendar kit) has partnered with GAP this year? 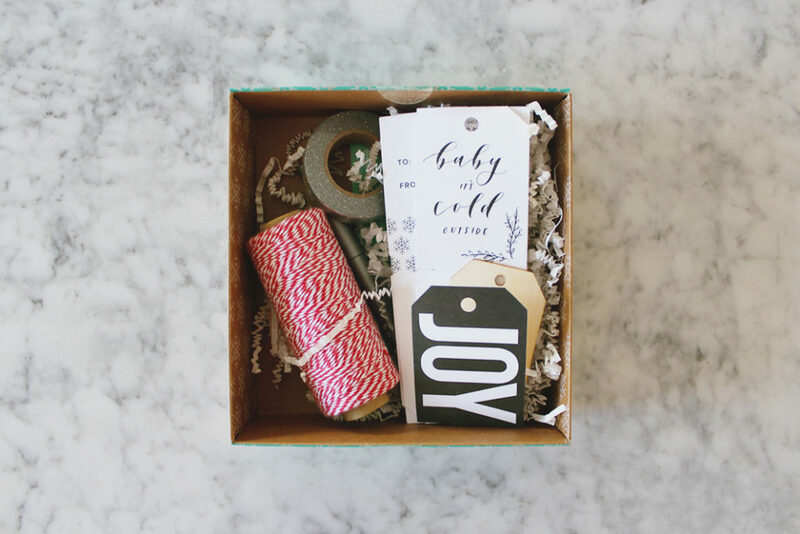 If you happen to be at the mall and stop into a GAP store you’ll find these cute little DIY gift wrap kits — they’re filled with everything from gift tags to washi tape to bakers twine. All the trimmings you need for some modern Christmas gift wrap! Plus they have a special something-something hidden inside. (Shh). I was expecting to be able to wrap only a few gifts, but my kit came with 11 different gift tags as well as enough twine to last me..well, years. The nice thing about them is you can go the simple route — tags plus twine — or get creative with some of the other supplies. I personally like my holiday gift wrap to be simple and natural, mostly so I can pretend I live in a cabin in the woods, chop wood in my spare time, and feed woodland creatures from the palm of my hand. 1. 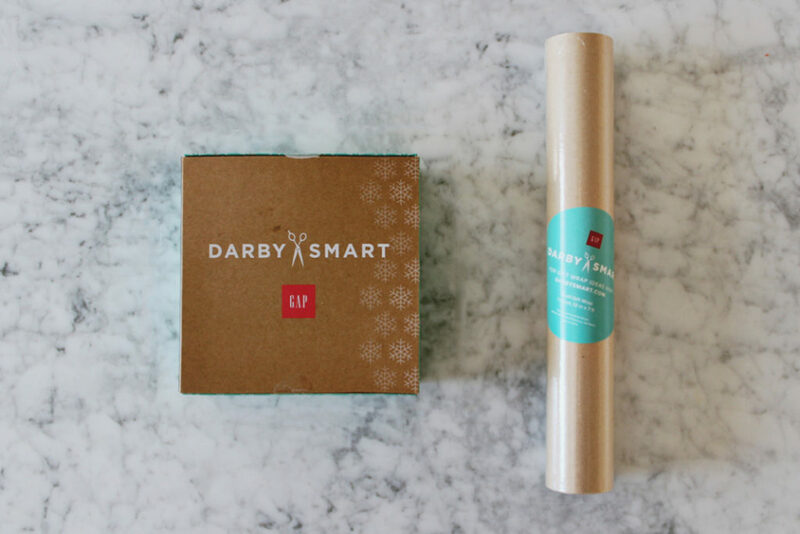 Get your Darby kit, and some solid-colored wrapping paper. I like Kraft paper best (I used it on last year’s gifts, too). 2. Pick a few sprigs of greenery, from your backyard, Christmas tree, etc. (I found a holly-looking plant behind my house). Choose a piece with flat leaves and color it in with the silver permanent marker from the kit. 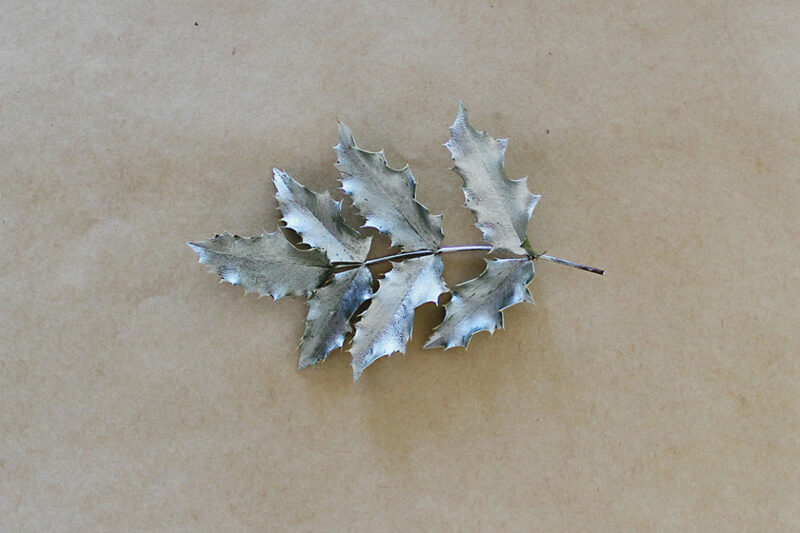 Don’t worry about covering the entire surface — if part of the leaf shows through, it’ll look more like actual silver leaf. 3. 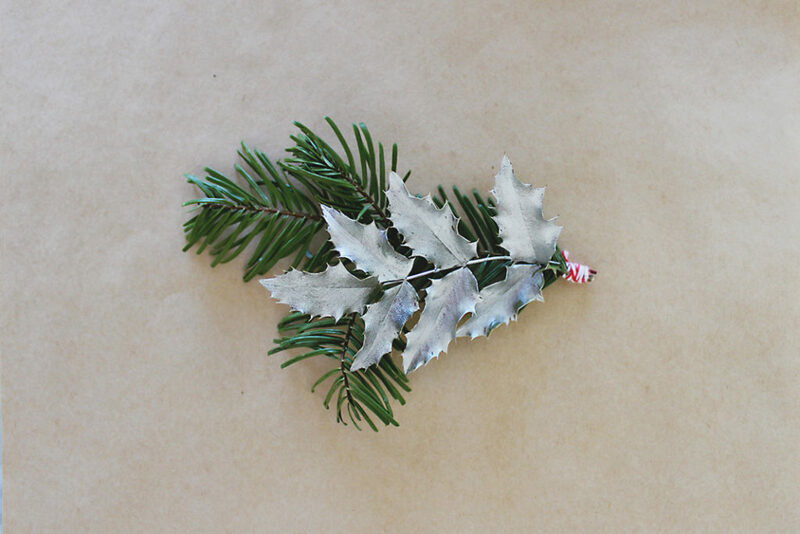 Layer your now-silver greenery with some still-green stuff and tie with the baker’s twine. 4. Wrap the end in silver washi tape, and secure with glue to your wrapped present! Simple, easy, beautiful. 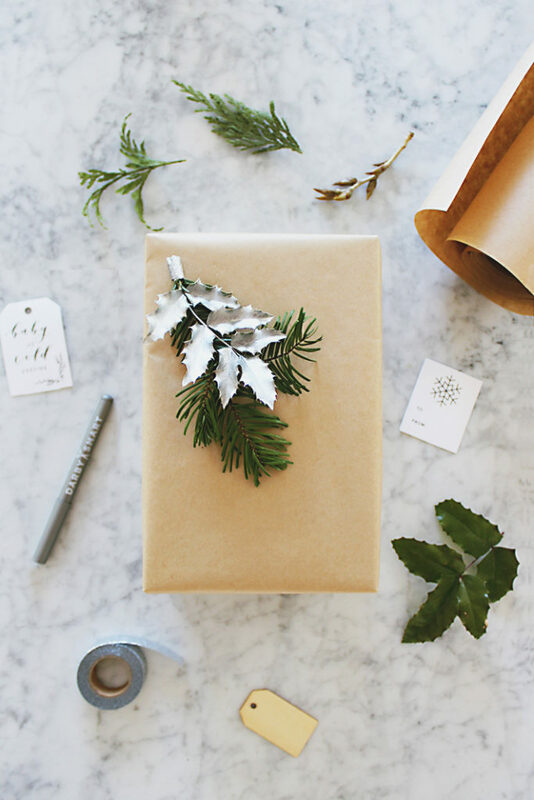 You can find even more Christmas gift wrap ideas by other bloggers like myself at Darby Smart. Now tell me, how are you wrapping your gifts this year? This is a sponsored post in partnership with Darby Smart. All opinions are my own — rest assured I would never recommend a product I didn’t like! Gorgeous! I wouldn’t have thought to paint/color the greenery but it adds such a festive touch, love it. Thanks Jesica! I hope you had a wonderful holiday season — happy new year!